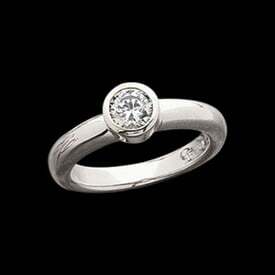 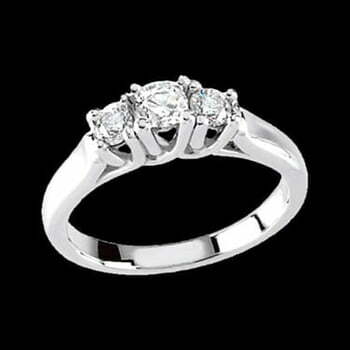 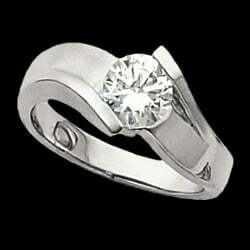 Beautiful Platinum three stone diamond engagement ring. 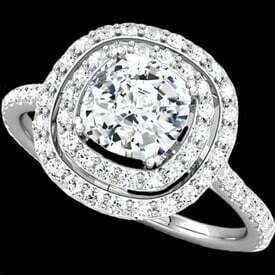 Engagement ring is complete with three stones totaling 1/2ct tw with a 4mm round center diamond and accented either side with a 3.4mm round diamond. 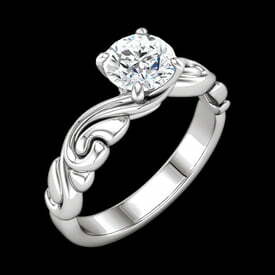 Diamonds are vibrant SI2 clarity G-H color genuine stones set in a woven style ring.